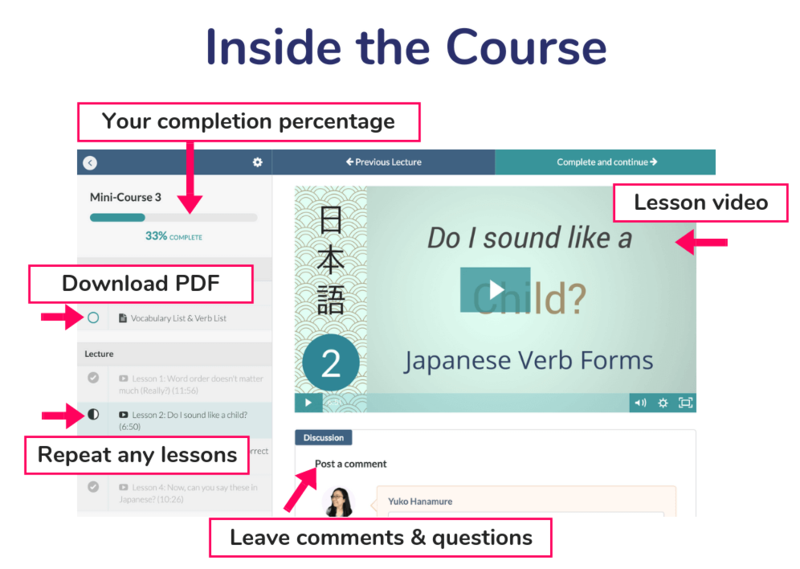 Nowadays, you can find tons of Japanese learning websites on the internet but there aren’t many programs where you can learn Japanese online with a teacher. Here at Smile Nihongo Academy, we offer online courses that are designed and taught by a real Japanese teacher. Does It Work? Try Free Courses! Every leaner has a different learning style. Therefore, it’s always best to see if the course fits your learning style before you invest your time and energy to it. The only way to find out is to try the lessons. Hence, I offer free mini-courses for you. Pick the one that suits your level. Simply sign up with your name (nickname is fine) and email address. Mini-Course 1 is designed for complete beginners. You’ll learn how to say basic things about yourself such as name, nationality, and occupation. I will teach you how to speak properly even with your very limited skills in Japanese. Lesson 2 – Let’s talk about yourself! Lesson 3 – Don’t want to sound funny in Japanese? 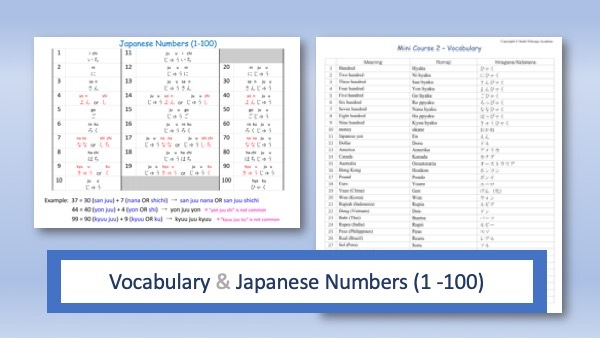 Mini-Course 2 covers Japanese numbers and money. It will walk you through how to say numbers from 1 to 999 with correct pronunciation. After that, it teaches you how to say prices in Japanese yen, dollars, pounds, euro, and other currencies in the world. Mini-Course 3: Verbs – Say What You Do! 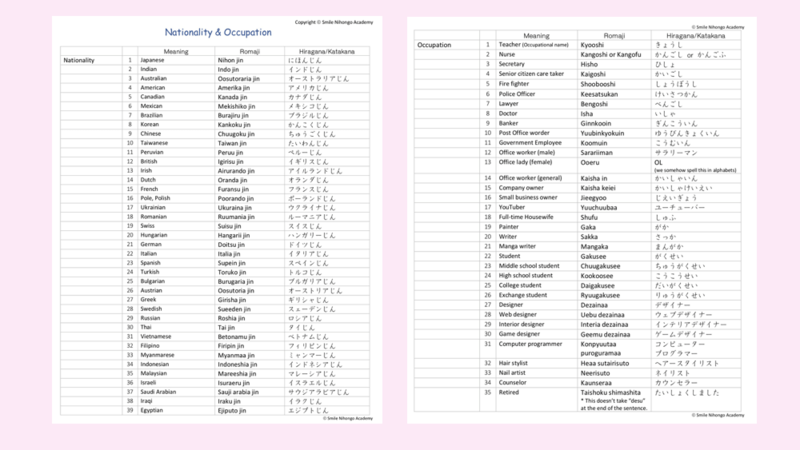 I will show you how systematic Japanese sentences are and how to build them on your own. I will also explain the difference between Formal and Informal speech in Japanese and what you can do to avoid sounding awkward when you speak Japanese. Lesson 2 – Do I sound like a child? Lesson 4 – Now, can you say this in Japanese? This free course also comes with tons of PDF materials that you can download. (21 pages in total!) 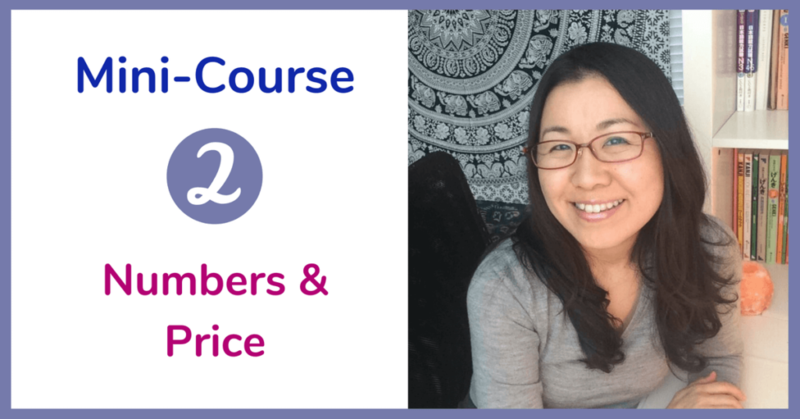 Each material is prepared in both Romaji and Japanese letters (Hiragana/Katakana), so you don’t have to know Japanese letters to learn from this course. 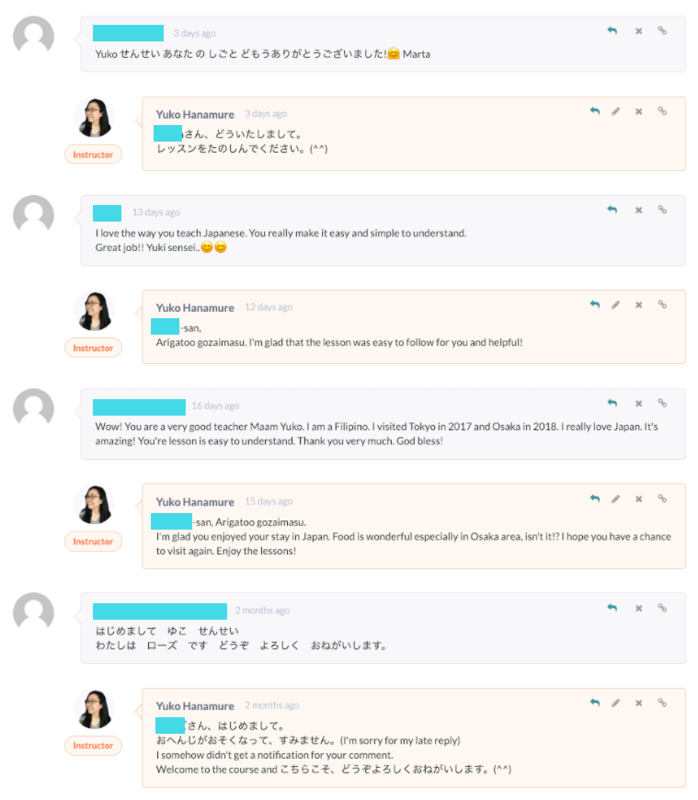 Why is it important to learn Japanese online with a teacher? Because it is crucial to have professional support when you learn a foreign language. It’s tough to stay motivated when no-one is there to encourage you and answer your questions, isn’t it? 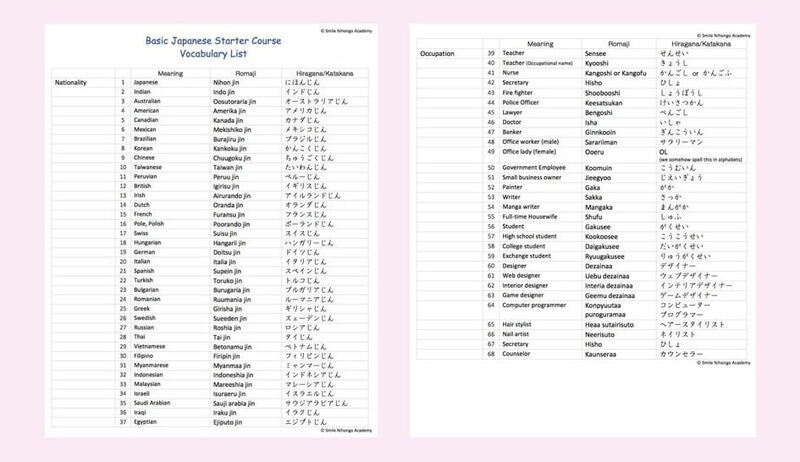 I have heard from my students that they signed up for a membership website for Japanese learning before but there was no one to answer their questions and support them throughout the learning journey. Yuko-sensei always answer your questions! 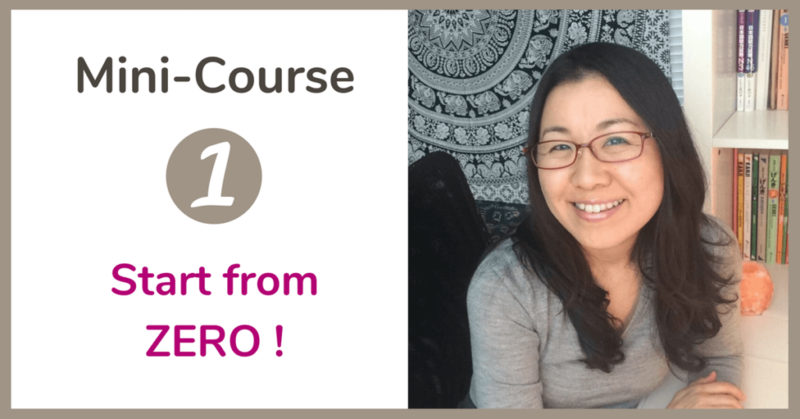 In our online courses, you have access to your teacher, Yuko-sensei, and she is always there to support your learning. Not only that she is a native Japanese instructor but also she was professionally trained to teach Japanese as a foreign language. She has been teaching Japanese in college/university classes in the USA since 2000. Do you have the time and money to attend a language class regularly? Can you afford to pay $20-$50/hour for a private Japanese tutor? Not everyone can say YES! to these questions, right? Each free course comes with PDF materials that you can download and print out. The instructor designed each material to fit the level of the course. 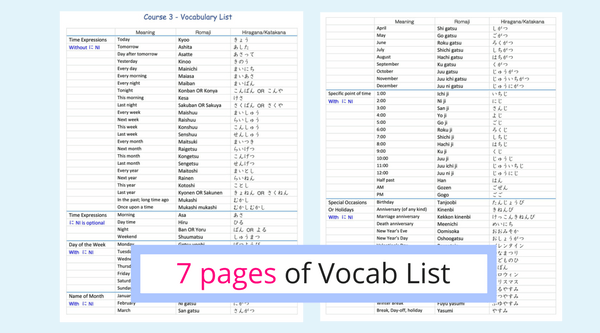 They have been used for her students for many years and are proved to help their learning. 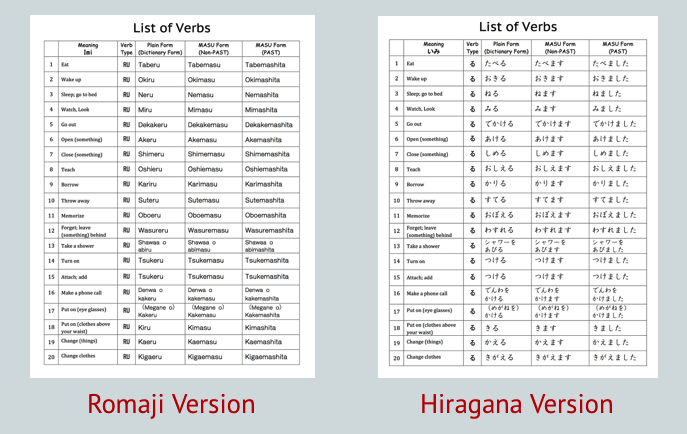 Besides, all the materials come both in Romaji and Japanese letters. You don’t need to know Hiragana & Katakana to use these materials. 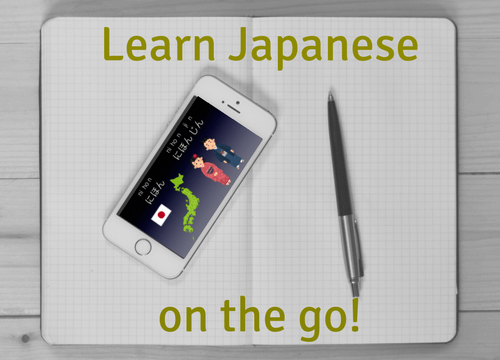 Learn Japanese Online with a Teacher! If you have never tried to learn Japanese online with a teacher, this is the chance for you to see if it works for you. After trying these free courses, even if you feel they don’t work for you, you can keep the courses permanently and repeat any lesson as many times as you want. You have nothing to lose! I hope you will take this opportunity to learn Japanese online from a professional teacher. Simply sign up above for the course that fits you with your name and email address. More advanced courses are going to paid courses. If you are curious about what courses are available at Smile Nihongo Academy, you can also view all the courses on our homepage. I look forward to having you as my student in our mini-courses!